For the last few decades, landlords have been screening tenants the same way. First, the applicant fills out a rental application that includes a plethora of personal information. Next, the prospective landlord does whatever he or she wants with it. Scary, right? 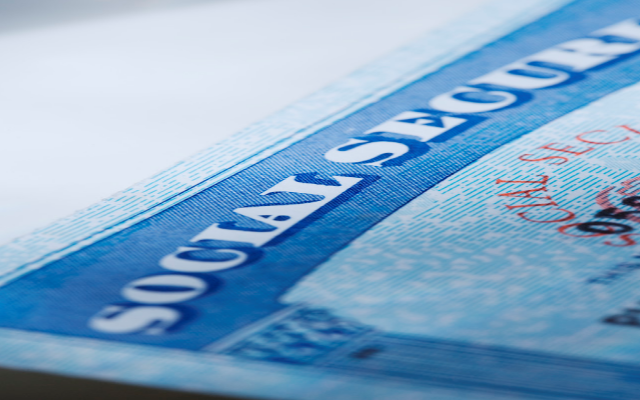 Requesting a Social Security number has long been the backbone of the tenant screening process, but in reality, it’s not needed to screen a prospective tenant. It’s 2014, and identity theft is the #1 crime in America. Sadly, landlords whose “best practice” still consists of collecting an applicant’s personal identity information on a paper rental application aren’t helping to reduce that statistic. The times have changed, and so has the technology. Myth 1: I can’t pull a credit report without an applicant’s SSN. Why is it False? Experian, TransUnion, and Equifax offer tenant-screening services for landlords without the need for the landlord to collect a SSN. In fact, all you really need is an email address and the tenant’s participation. Cozy has taken this a step further by giving landlords the ability to order the Experian credit report directly from their dashboard. Not only can landlords collect online rental applications, they can also order an Experian credit report with ease. If you want to hire a third-party screening company to pull the report for you, you’ll need to collect the SSN and pass it along to the screening company. Myth 2: I need my tenant’s SSN to report a delinquency to the credit bureaus. Why is it False? You can’t actually report a debt directly to the three big credit bureaus. If you win a judgment against a tenant, most credit reporting companies already have ways of discovering such judgments and registering them on the individual’s credit report. Screening companies and other business entities can report debt, but first they must apply for reporting access to the various systems and adhere to the requirements set forth under the Fair Credit Reporting Act. Reporting access is not typically granted to individual landlords. Myth 3: I can’t file a court case without the tenant’s SSN. Why is it False? The process will vary from county to county, but typically the only information needed to file an eviction or small claims action, is a name and current address (so the tenant can be notified). For example, California and Colorado courts, among many, only ask for name, address, and phone number on their eviction forms. Most (if not all) counties do not require, nor do they ask for, a Social Security number when filing a court case. In a recent interview Mark Busch, a landlord-tenant attorney in California and Oregon, commented: “I am not aware of any court that requires a SSN to file. In fact, given the potential for identity theft, it would be highly unusual for any court to require this information at the outset of a case. Myth 4: I need the applicant’s SSN to run a background check. Why is it False? A FCRA-certified screening company will be able to pull criminal and eviction records from multiple sources with only a name. However, in cases that involve common names, such as John Smith, you’ll need something more to narrow it down. Having a middle name, date of birth, and previous or current addresses will help tremendously. Criminal and eviction records are created by the courts, which don’t list the SSNs in the reports for privacy and security reasons. Myth 5: I need my tenant’s SSN to garnish wages. Why is it False? : Though an employer would certainly prefer that you had the SSN to verify the identity of the employee, you don’t need it. A wage garnishment is a method used by the courts to collect money that might be owed by the defendant as part of a judgment. Before you can garnish your former tenant’s wages, you first need to get a court order, which does not require a SSN. The employer must obey the court order regardless of whether you have the individual’s SSN or not. Fact 1: I need the tenant’s SSN if I want to hire a collections agency. Why is it True? If you plan to hire a collections agency to report or pursue a debt, you will need the tenant’s SSN. However, you should first go to court and win a judgment for the debt. If the tenant shows up for court, you can request that the judge require that the tenant provide his or her SSN at that time, as part of the judgment, in order to collect on the debt. If the tenant doesn’t show up, then your only option is to put pressure on the tenant to pay up, or to get a court order to garnish wages from the employer. Though a collections agency is often the best way to collect the debt, the success rate is abysmal. In fact, landlords have the lowest success rate of collecting a debt compared with every other industry. Though minimally successful, if you insist on using a collections agency, you’ll need the tenant’s SSN. Lucas Hall is the Chief Landlordologist at Cozy, which provides free rental management software to landlords. He has been a successful landlord for almost 10 years, with dozens of happy tenants and a profitable income property portfolio. Learn more at Cozy.co and Landlordology.com.